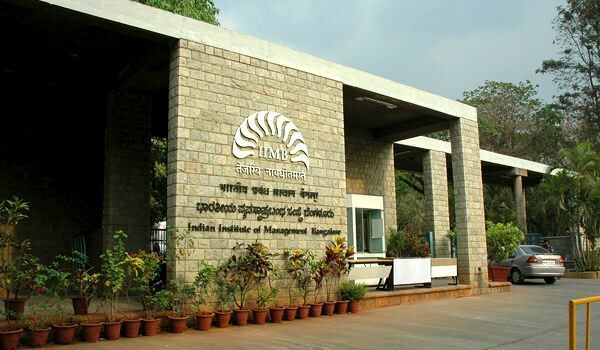 Indian Institute of Management (IIM), Bangalore is amongst the well recognized business schools in India. It was the third Indian Institute of Management after IIM Kolkata and IIM Ahmedabad, to be establish by the Government of India in the year 1973. It has authorized an identity of its own as one of the premier institutes of India and is getting to be known not only for its Post Graduate Management Programmes but also for excellent Academic Research, Workshops, Seminars and Projects. IIMB is the first B-School in Asia to sign an agreement with Harvard Business Publishing (HBP) to distribute faculty teaching cases and has entered into a partnership with Richard Ivey School of Business to co-brand and distribute faculty-authored cases on a global basis. Applicants willing to seek admission in the IIMB can register through online or offline process. Application forms will be available on the official website of the institute. Institute is sprawled over a huge area of 100 acres of land in one of the developed cities of India i.e. Bangalore. The campus is located amidst beautiful and picturesque land that gives the perfect environment for management studies. A large number of trees have been planted that gives a pleasant and cool atmosphere. The campus has been equipped with world class infrastructure that facilitates teaching, research, consulting and other professional activities. The library is very well planned. The classrooms and the dormitories all conform to the master plan. After the successful completion of courses, the college assists their academic bright students in getting placements to leading corporate houses. Some of the top recruiters that hire the students in their firm through campus selection are Accenture, Aditya Birla Group, Bank of America, BPCL, Cadbury, Capgemini, Coca-Cola and many more. Average salary offered 5.72 L p.a. and highest salary offered is 17.30 L p.a.